The Options dialog has five tabs for customizing different aspects of the GCD software. All options are user-specific, meaning that any changes are saved for the current user only. 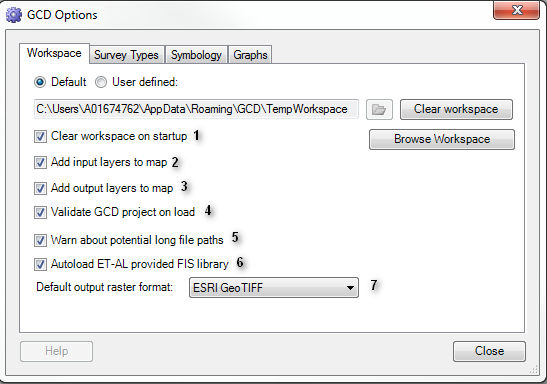 The workspace tab controls several features that determine the default behavior of GCD. If checked when a GCD tool is being used its inputs will be automatically added to the map, unless they are already in the map. If checked outputs from GCD tools will be automatically added to the map. Determines which raster format will be used when creating outputs from GCD tools. 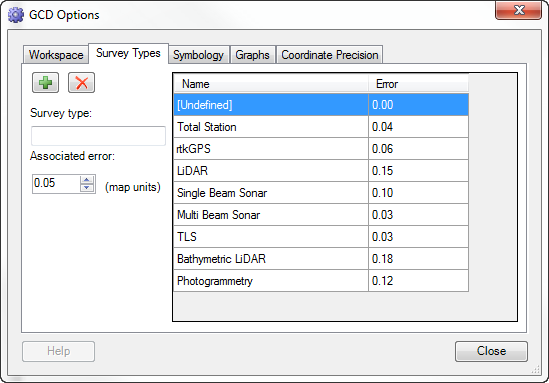 Survey types can be customized to represent different topographic survey methods. 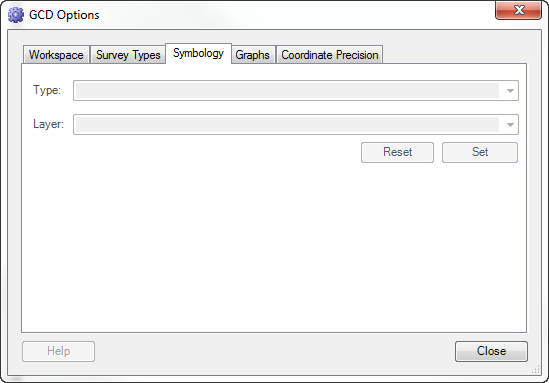 This list controls which survey types are available as the Survey Method int he DEM Survey Tab of the DEM Survey Properties dialog of the Survey Library. The error value is in map units (e.g. 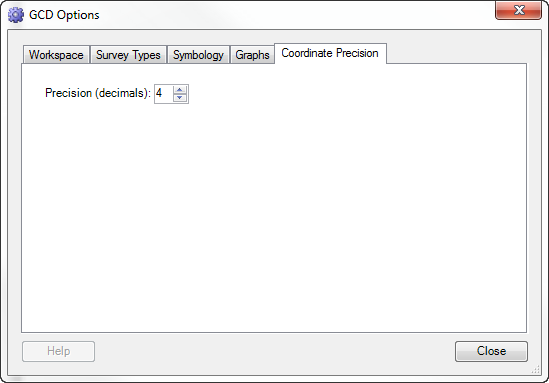 meters) and represents the default elevation uncertainty used for this survey method when it is a spatially uniform error estimate (i.e the Error Calculations tab of the DEM Survey Properties dialog). The default values shown are very crude rules of thumb from our experience and the literature, but can vary dramatically depending on the specifics of survey implementation, instrumentatoin, sampling design, post-processing, and surface creation. This video shows you how to modify and/or add new survey types. This tab has no functionality in the current release. 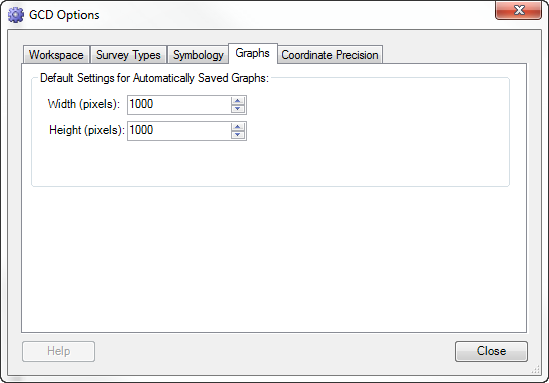 It is a placeholder for allowing the user to over-ride the default symbology when rasters are loaded to the Survey Library or created by the GCD are added to the map. Volumetric and Areal Elevation Change Distributions associated with both the Change Detection and Budget Segregation panels. Pie-Charts from Budget Segregation Panel. NOTE: All graphs produced in GCD can also be exported manually from their respective panels/dialogs (with a right click) and that all the data required to produce these graphs automatically is also exported to the output folder.